It is an honor to have Dr. Sue Edwards from the Dallas Theological Seminary and her students join me for a Q&A on the value of keeping a prayer log. Dr. Edwards is the Associate Professor of Educational Ministries and Leadership. She is currently teaching a study on the book of Ephesians, and has asked her students to consider keeping a prayer log… something I know a little bit about! Gina: Sue, welcome! Thanks for joining us. Can you introduce yourself—tell us where you’re from and what sort of ministry you’ve been called to? Sue: Thanks for having me, Gina! To answer your question, I’m from everywhere—military family, born in NY city, and I’ve been called to teach ministers, to teach the Bible to women, and to write resources for God’s people. I’m an associate professor of educational ministries and leadership at Dallas Theological Seminary. That’s my full time ministry and I love it, but also enjoy mentoring and teaching women in my church. Gina: Ministering to women is near and dear to both of our hearts. Sue: Yes, it is! 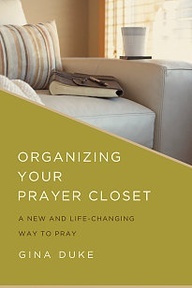 I was excited to read your new book, Organizing Your Prayer Closet. Prayer is such an important topic and one that women are always asking about—how to pray better, more consistently, how to listen for a response. Your book will be a powerful tool in many women’s lives to revitalize their relationship with God. Especially since prayer, while being an evergreen topic, is still found to be a bit of a mystery. Why do you think that is? Gina: Prayer is an important discipline for every Christian. The three-legged stool that all believers should be soundly seated upon is made up of Bible study, church engagement and prayer. The first two are pretty cut and dry – read the Bible, go to church, but prayer is not as easily defined in our lives. Despite its mystery prayer can become our most powerful source of clarity. A recent study found that almost 50% of Christians said they were unhappy with the prayer life, while just a little over a third of most believers stated they do not know how to pray – here lies the mystery – the lack of understanding on how to effectively pray. When we do not have a good handle on prayer, we regard it as a puzzle; therefore, it is sidelined in the life of a believer as something of little value. While there are a good many things about God that are and will remain a mystery to us while we are on this earth, our heavenly Father does not intend for prayer to be one of them. Jesus prayed often (Matthew 14:23; Mark 1:35; 14:32-42) and He taught on prayer (Matthew 6:5-13; 18:1-8; Luke 11:1-11), and the Holy Spirit continually teaches us how to pray (Romans 8:26, 1 Corinthians 2:10-12), so it is a worthy investment of our time and attention to learn how to pray. Sue: Where did the prayer closet idea—the title of your book—come from? Is there a Bible verse that your book is based on? Gina: I once had a small leather prayer journal that had two columns. One column was for listing my prayer requests while the other was for recording the answer to my prayers. I loved it, and could see right away the hand of God moving in my prayer life. In 2001, I decided to create my own, and felt led to incorporate more columns, which led to adding scriptures to use during prayer along with my entries. This is when I realized prayer was so much more than throwing up prayer requests, but encompassed my whole relationship with God. I gave my prayer journal various names until I came across Matthew 6:6, which instructs us to go into our closets when we pray. Since closet organizers were in vogue, the name for my prayer journal came to me after pondering this scripture. My book, Organizing Your Prayer Closet, is my way of imparting 1 Peter 4:7 which is listed at the top right corner of each weekly worksheet. It says, “The end of everything has come. Therefore, be self-controlled and clearheaded so you can pray.” What this scripture is really saying is that every matter in our lives will conclude one way or another; therefore, it would behoove us to be disciplined and clear-minded so that we can effectively pray over those matters. What about you, Sue? What Bible passage do you lean on as evidence of the power of prayer? Sue: Paul models great prayers for us and his prayers teach us about the power of prayer in addition to illustrating that he relies on prayer himself for everything. For specific verses, I’ll echo a couple you’ve already mentioned that have also been life-changing for me. Jesus told us prayer is powerful and taught us to pray in Luke 11, a pattern that provides the essential components of prayer as well as an insightful little parable that teaches us how much God is waiting for us to pray and desires to bless us. I also love Romans 8:26 and 27 where we learn that the Spirit is interceding for us when we don’t know what to pray. Now that’s power!! Gina: Such a comfort to know we don’t have to have all the answers! Helping women wrestle with the questions (and find their own answers) is a big part of your studies, right? I hear you’re leading women in a Bible study of Ephesians both online and in person and that prayer has been a topic of much discussion in recent week. Tell us more! Sue: My study of Ephesians is a self-discovery study that can be used individually, in small groups, face to face, or online. Women work through the lessons week by week and then share their insights together for mutual edification–to learn from one another. It can happen anywhere and God delights when we are in His Word. 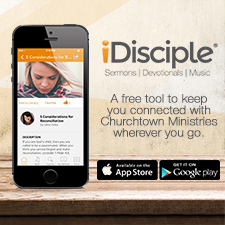 I’ve found the self-discovery method to be absolutely life transforming and the most effective way to grow up in Christ. I’ve been doing Bible study with others for over 40 years and I never get tired of it or feel I’ve learned it all. Its depths cannot be plumbed and its riches sustain and nourish us. It’s our food and we starve without it. Gina: So true! What concepts about prayer, in particular, have you been discussing? Sue: The lesson on prayer looks at the two beautiful prayers that Paul prays for the Ephesians in 1:15-22 and 3:14-21. One grand truth is that we have access to resurrection power in our lives–the same power that God used to resurrect Christ from the dead. That means that we can overcome whatever hinders us if we access the power of God for his will in our lives. That concept is transformational. The lesson also includes a prayer log to help women evaluate their time in prayer, not to make them feel guilty but to give them a realistic assessment. Using a prayer log is something you know a bit about… right? Gina: I do, indeed. My book offers a full year’s worth of prayer worksheets to help you record your conversations with God. Sue: I love that. How do readers use your worksheets? What do you hope will be the result? 1. I Look at each department of the weekly worksheet, one department at a time, and reflect on my day. 2. Write down my thoughts in each sections as they come to me – this is organizing my prayer closet. 3. Using the scripture headers, I pray the word of God over my written entries. 5. Every Sunday, I start a new worksheet. 6. Periodically I review past week’s worksheets and update accordingly. Structured prayer journaling gives me spiritual clarity, which is what I desire more than anything else. I want to live in the center of God’s will and I can only do that if I am able to stay in step with His Spirit. I know of no other way to do that than by structured prayer journaling. This is what has worked for me and revolutionized my prayer life, which has ultimately enhanced the quality of my life. Sue: I have definitely seen prayer revolutionize lives as well! Prayer is so powerful, isn’t it? 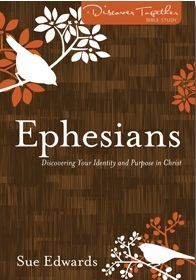 This Ephesians study that I’m leading is about finding your identity and purpose in Christ. Finding your purpose is such a big, bold concept and—sometimes—quite a process. Prayer has to be a big part of that process. Do you agree? When we record our prayer life, it pulls those things that are in the spiritual realm into our visual presence, and then we are able to physically see God’s hand moving on our behalf. It is this practice alone that has removed the mystery of prayer for me. Even when God says no, I find that later the reason becomes clear, and I am even more enamored with God’s sovereignty and wisdom. Sue: The benefits of prayer are amazing! Paul tells us that prayer benefits us in marvelous ways. First we come to know God in personal intimate ways. It’s about a relationship and interacting with one another. It’s how we know God personally. We come to experience the depth of His love through prayer and receive guidance and direction. But prayer is not to get God to do what we want Him to do. Prayer helps us know what God wants us to do. And that’s a far better thing. Prayer ultimately enables us to be filled with the fullness of God and that cannot occur until we pray both in time and without ceasing. Sue: It’s life-changing! When we grasp, through prayer, how wide and long and high and deep Christ’s love is for us… our lives will never be the same. Gina: Amen! Thank you, Sue, and thanks to your class for tuning into my Q&A session. Sue: Thanks for having us! It was fun! If you want to chat more, you can find our study on www.Facebook.com/DiscoverTogetherSeries or online at www.discovertogetherseries.com and at Twitter @SueEdwardsDTS. And Gina? Where can we find you? Gina: Sue, I definitely plan to join in! You can find me here at www.ginaduke.com. So there are several avenues for joining me. I look forward to hearing from you! I hope we have provided you with some special insight regarding your prayer life, and pray many blessings for each one of your. They are passionate about ministering to women! Read their Q&A w/ @SueEdwardsDTS and @TheGinaDuke here. Click to tweet. What Bible passages provide evidence of the power of prayer? @SueEdwardsDTS and @TheGinaDuke discuss! Click to tweet. Structured prayer gives spiritual clarity. 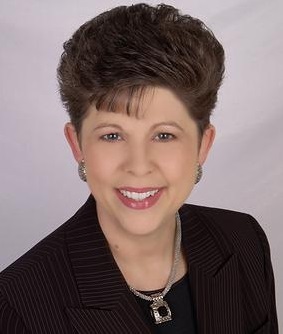 @SueEdwardsDTS interviews @TheGinaDuke about Organizing Your Prayer Closet. Click to tweet. 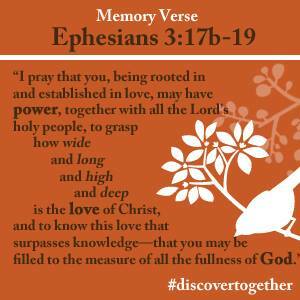 The benefits of studying the book of Ephesians! @TheGinaDuke interviews @SueEdwardsDTS about #discovertogether. Click to tweet.